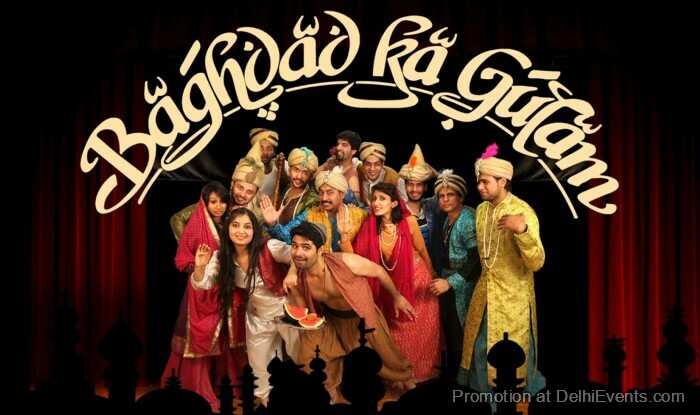 Baghdad Ka Ghulam is a classic Hindi comedy based on A Servant of Two Masters, a comic masterpiece by the Italian playwright Carlo Goldoni. The play was originally performed by Barry John’s Theatre Action Group in 1986, with a cast that included Shah Rukh Khan, Divya Seth, Manoj Bajpayee and Raghuvir Yadav. The current production is based on the earlier versions. The players are graduates from Barry John Acting Studio, Delhi. Produced by : BJAS Theatre in Education.